If you do not have an estate plan, the state will create one for you by intervening on your behalf. 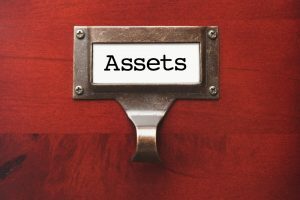 When you pass away, virtually all of your assets are distributed in one of the following ways. By state law or by will: Anything that isn’t distributed by beneficiary or by ownership will pass through state law. Many people believe that they don’t need a will because they will assume that their spouse will receive everything by ownership or by beneficiary. While that may be true, if both of you were to suffer in an accident together, this can raise significant questions. Beneficiaries: You usually will name beneficiaries on life insurance plans, health insurance, savings accounts, and retirement plans. These will pass outside of the probate system because they refer to the specific paperwork you filed directly with those account managers. Ownership: If your property was owned by joint tenants with survivorship, the asset will immediately be transferred to remaining surviving owners. If you own your home with a spouse, for example, the spouse will automatically get it. However, you may have other real estate interests that have not been clearly laid out in your estate plan. You need to consult with a knowledgeable attorney who can help you navigate this process and ensure that you have considered all potential angles in putting together your estate plan.